In these economic times, it makes sense financially to do everything you can to reduce energy costs. Installing a damper on your chimney is a great way to keep your house from leaking heat. Dampers stop heat from escaping up the chimney when your fireplace is not in use by trapping the warm air and blocking the cold. 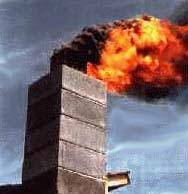 For more information on pricing and if a damper is right for you, visit http://www.familychimneysweep.com. Home fires are both dangerous and expensive! Don’t let your fireplace turn your home into a fire hazard. Keeping your family safe is easy and affordable. You can help prevent fires by having your chimney inspected and/or cleaned on a regular basis. How often should you have your fireplace cleaned? For occasional yearly use, have it inspected and cleaned every three-to-five years. For frequent use, have it inspected and cleaned every one-to-two years. Items above do not reflect all the services we offer. Please call if you do not see something listed. Mention the code WEB and receive 10% off your cleaning! We also pride ourselves in being honest with our customers. We have the technical expertise and know-how to solve all your chimney needs — from chimney cleanings to masonry repairs, pointing, and relining. Master Sweep Mike Scanlan, a Boston Firefighter and Fire Inspector, started Family Chimney Sweep 30 years ago and continues to be at the helm of the family-owned business.